Throughout the week, I am working from 8-5 and my basic uniform is more business casual. However during the weekend, I always get excited, because I have options to glam up my look. Most of the times if I am running errands, I keep it casual, but if I am going to the movies, dinner or brunch with friends I always like to make sure I look nice. Denim pants have to be my favorite clothing staple, you can dress them up or down. They are so versatile and if you find the right pair can turn into the ultimate bff. And boy, do I love the stretchy kind, I like to be able to bend, move and feel comfortable in my denim. For this look I paired my favorite denim pants with this cute white bodysuit. The bodysuit makes the look more classy, while adding a leather jacket provides a slight touch of edge. Now that it's cooling down at night here, it's appropriate to bring it out for these upcoming months. While living in South Florida presents a challenge with wearing boots, I love wearing open toe boots to give your feet a little wiggle/ breathing room. Of course if you're like me these staple items can be found in your closet. A nice leather jacket, white blouse and some dark denim. Overall, this is a chic, stylish way to rock your denim and leather jacket for your next weekend adventure. Shop all the pieces below! 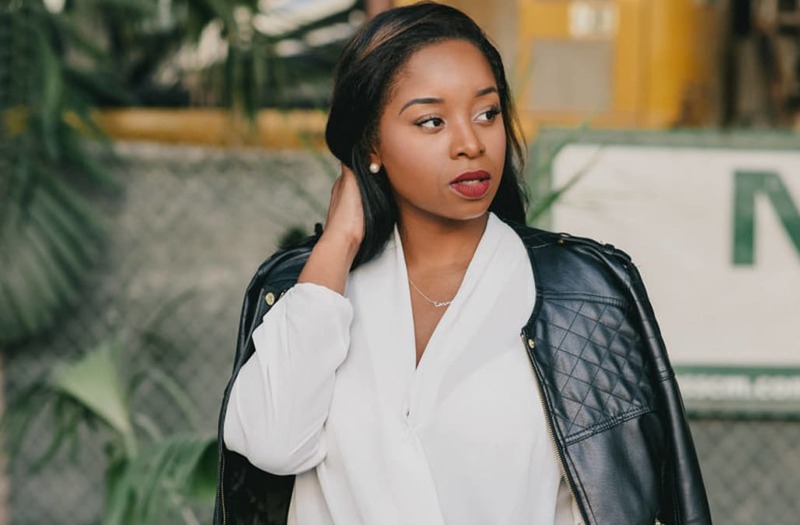 The post Your Go To Weekend Wear Look- Leather Jacket & Denim appeared first on Simply Carmen Renee.